Those of you who know me well, know that I usually don’t get deeply involved in political discussions. You may even remember I mentioned political discussions as a pet peeve in my November blog post. It’s not politics itself that I dislike, but instead the divisiveness and conflict that surrounds most political discussions, whether among friends, family, in the media, or among elected officials! It seems that the new norm is to accept conflict as an integral part of politics, which means we’re surrounded by debate and news stories bombarding us with negativity. 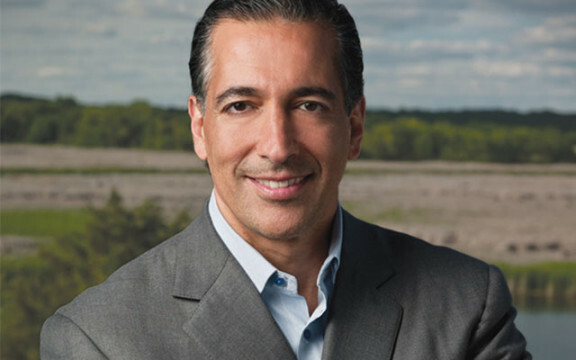 Bahram recently wrote an editorial for an upcoming issue of Experience Life magazine, in which he shares a great suggestion for us all… he reminds us that we each play a critical role in uniting people around causes that contribute to a healthier, more productive world. Bahram takes it a step further by encouraging all of us to ask our elected officials and the media to engage in productive conversations, so that we can focus on unity instead of conflict. I totally agree with Bahram’s perspective and like his letter so much that I’m sharing it with you here. I regularly think about the influence of leadership on the well-being of individuals, societies, the environment, and our planet. Whether in our communities, businesses, or even our homes, each of us plays a critical role in uniting people around causes that contribute to a healthier, more productive world. This is equally important for those in public service. After all, our elected officials are supposed to lead and unite us. Let’s make it clear to our leaders in public service that we expect them to act in this fashion. Please join me in asking all of our elected officials — Republicans, Democrats, and Independents, including our President, Senators, Representatives, Governors, and Mayors — to focus on what is best for our citizens and our country. Instead of constantly resorting to attacks and counterattacks, let’s ask our elected officials to engage in productive and respectful debates so they can prevail with the best approaches that move our nation forward. Only these types of debates, broadcast to all Americans, will accurately inform and empower each individual to form his or her own conclusions. Instead of dividing us, let’s ask our elected officials — and the media — to unite us and to do so with the mutual care and respect we would be proud to teach our children. I hope fellow business and community leaders also will join me in asking all politicians and the media to halt the ongoing blame game and, instead, focus on balanced, intellectual, and respectful discussions that address the important issues facing our country. We need to be the United States of America, not the Divided States of America. Only as a united nation will we solve the real problems we face right here at home, while positively influencing the world around us. To all elected officials and media, I ask that you commit to lead our nation with the common goal of unity and alignment. Please focus on doing what is right for our country, as leadership is a responsibility, not a privilege . . . and now, that responsibility is to unite America. For the rest of us, we each have the power to let our elected officials know how we feel, what we expect, and our desire to be united, not divided.